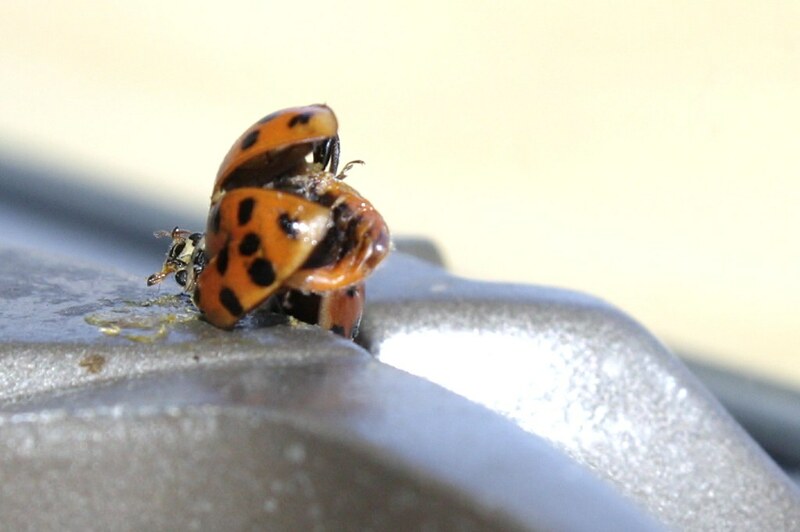 The dead ladybug seems to have it's wings open while the other ladybug feasts on its innards. I had never seen this behavior before so it surprised me. These are Multicolored Asian Lady Beetles. They are invasive bugs. You can read about them here on my blog. They infest homes in the spring here.